On this page, you will be mesmerized by the powerful Celtic symbols of long ago and their meanings based on their mythology, spirituality and legends. You will also be astounded by their unique, undulating ribbonwork that defies both mind and eye with its captivating twists, turns and tangles that have neither end nor beginning. The Celts' distinct mathematical and geometric depictions have been described as the works of angels. 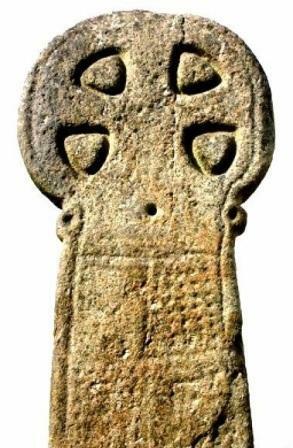 For centuries, many artists only copied Celtic symbols and designs and never took time to study how they were made. It was only in the mid-twentieth century that artists such as George Bain have attempted to recreate the methods probably used by the Celts. No one knew how the Celts called themselves back then, since it was the Greeks who first labelled them as Keltoi in their memoirs. The Celts left a tremendous number of intricately designed jewelry, sculpture, metal and stoneworks, and magnificent architecture in their wake, but very little history through writing. We come to know about the awe-inspiring Celtic symbols only through their orally conveyed mythology, folklore and traditions. Many ancient historians and travelers from Greece and Rome gave us a glimpse into the early Celt's way of life, migrations and spirituality. Celtic symbols were marveled at and studied by the Romans. These authors agreed that the Celts were extraordinarily brave and fierce. The painted and tattooed people have defeated Greece and Rome many times in territorial battles. Sadly, the Celts did not have a writing system until around 300 BCE, and very few foreign historians gave an unbiased account of this mysterious people. If you would like to know more about the Celts during the Roman conquest, read this very interesting (and long) article. Today there is no nation or ethnic group that is officially Celt or Celtic, but the mystical and extraordinary Celtic heritage, tradition, art, symbols and spirituality are readily claimed as their own by many people born in Scotland, Ireland, Isle of Man, Great Britain and Wales, as well as in France, Germany and Italy. Come, let us look into the magical symbolism of the Celts! Let their astounding illustrations show you how they see the world. Let their unique imagination cast their power once more to inspire and illuminate! Explore the symbolisms that catch your fancy below. OR learn more about the Celts, Celtic symbols and the history, the druids and their spirituality, and Celtic art. They ken the immortal soul's unending journey.